I was really looking forward to talking to y’all about how I'm not going to FYF Fest this weekend and Raf Simons’ new collection he showed this week, but there I feel there is nothing else I could open this week’s letter with other than the news that Chester Bennington of Linkin Park is dead. Reports state he died by suicide in his Los Angeles home this week. A friend sent me a text asking if I had heard about Chester, and my first thought was he had been in an accident or diagnosed with a disease - but nothing could have prepared me for this. It’s all still fresh and doesn’t feel real. So, I took a few breaths before I started to silently grieve at my desk. The loss of Prince and Bowie felt much different - they were legends of another space and time. Chester’s impact hit me so much harder as he was a huge presence in my life during my tween years. Linkin Park’s debut album Hybrid Theory came out when I was just 10 years old. When my best friend in 6th grade introduced me to “In the End,” as corny as it sounds, I felt I had listened to music that ‘spoke’ to me for the first time ever. Being 11 years old in middle school with vicious bullies who verbally abused you wasn’t easy, but like most angsty teens who turn to music to find meaning for their existence, I found a way to cope by obsessively listening to Hybrid Theory and scribbling down a lot of poetry in my locked diaries from Claire’s. As I matured through middle school, my love for Linkin Park never waned. My identity became synonymous with Linkin Park - I talked about them all the time, purchased all of their CDs and DVD sets, ordered my first book online through Barnes & Noble for their coffee table book. I tuned into every damn interview or Making the Video they had scheduled on MTV or FUSE. These dudes shaped my worldview at such an impressionable age: Linkin Park, particularly Chester and Mike Shinoda (who are inarguably the mouthpieces of the band), introduced me to loads of new music, and showed compassion through their extensive charity work. Young, anxious teen me cared so much about Linkin Park because Linkin Park’s music became a reflection of myself. Their sound reflected my feelings, their lyrical content resonated with my own dark thoughts - Linkin Park truly were a revolutionary and game-changing sound for music at the turn of the millennium. I know it’s become a mockery in retrospect within the last few years - that entire “nu metal” genre of gritty rap rock with overproduced bionic beats. Laugh all you want: Linkin Park were a cornerstone for a major shift in the sound of mainstream rock. I’m so grateful to have grown up with Linkin Park. I’m so grateful to have admired Chester for being open about his own depression and personal traumas. If you or someone close to you are experiencing suicidal thoughts and feel like there is nobody you can turn to, please reach out to the Suicide Prevention Lifeline: 1-800-273-8255. Lines are open 24/7. 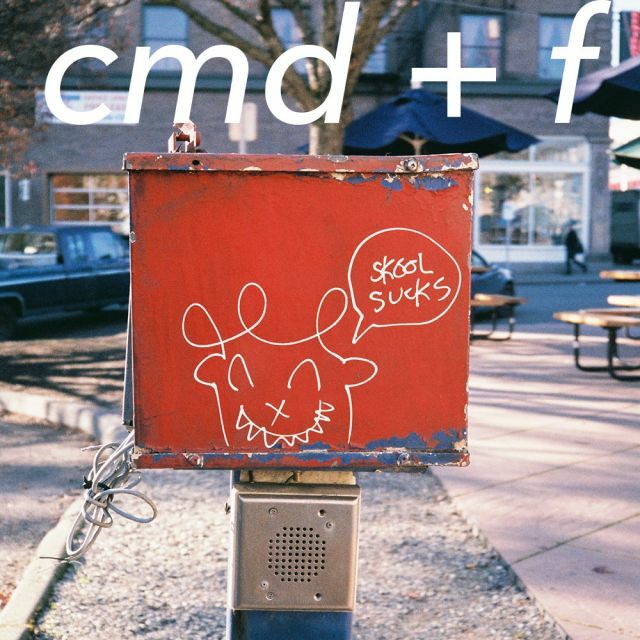 Please reach out to me via the handy dandy contact page on the cmd+f website, or on Twitter with your thoughts about any of the tracks I’ve selected this week. I love chatting about music. Let me in on your new favorite band; they’re looking for new fans, too. If you’re interested in hearing what else I’ve been rinsing this month (aside from the tracks listed above), peep my personal July 2017 playlist. There I will be dumping in new (and occasionally throw back) tracks as the month carries on. You can dive into the cmd+f archive to hear what I’ve been listening to in previous months this year.